Since we believe that cultivating knowledge in the sciences and combining it with technical training enables resource-poor communities to sustainably address their own needs, we decided to test our idea in August 2009. 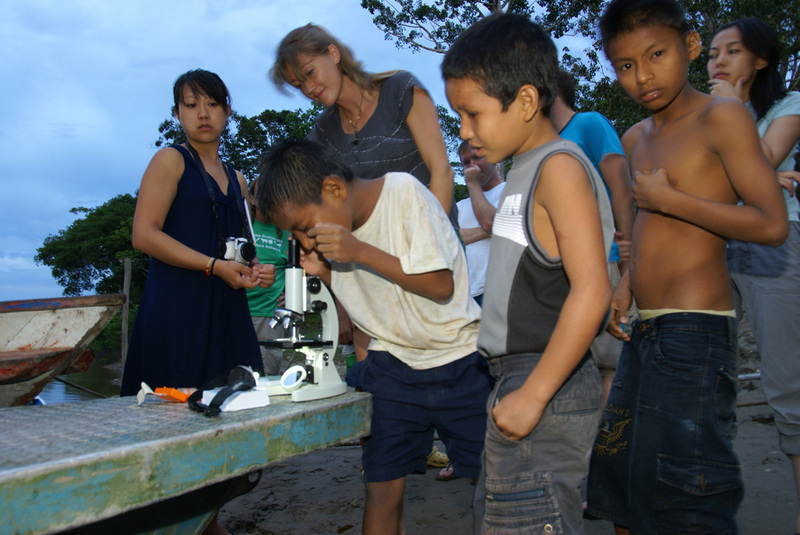 Future Scientist made its pilot trip to the Peruvian Amazon to test this fresh concept on international aid. The group consisted of MD and PhD students from UC Berkeley/UC San Francisco, a professional engineer, and a teacher focused on creating a sustainable educational base for students. During this first trip, we visited a clinic in Mazan, installed solar panels at an orphanage, presented hands-on science lessons, and interviewed the local school teachers and other community members to identify their needs. The first days spent in Peru were at a small clinic in Mazan where the group was able to donate medical supplies provided through REMEDY. While there, members of the group took time to examine the facilities and interview the doctor and nurses to evaluate their need and foster future collaboration. For the bulk of the trip, Future Scientist worked closely with Casa Girasoles Orphanage and the community school in Puerto Alegria, where we taught hands on lessons in solar energy, water filtration, and disease transmission in addition to a solar panel installation project that now provides sustainable electricity. Read what was written about us in the Forefront Magazine. Check out the article below that describes our trip in the Berkeley Science Review. After this pilot trip, we found that the needs for development are very basic in this area. There is need for clean water, power, and a place to bathe and use the bathroom. From this assessment, we then moved into Phase II of our project in which Future Scientist sent two volunteers work with the community on a more long term basis as well as establish a biogas system for community members to reprocess their waste into useful energy and fertilizer. Read more about the second phase!